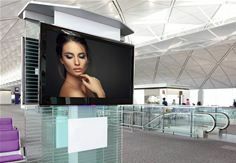 VXL Software’s latest Illumineye Digital Signage software release includes a new Live TV feed, enhanced data display using Microsoft Excel spreadsheet integration, a wizard-based Illumineye Creator and 4k ultra-high-definition display support. Illumineye’s new Live TV feature enables users to broadcast content from digital TV sources like Freeview, Sky TV, Now TV etc. through an optional USB capture adapter. This adapter allows an external digital TV source to be connected via the HDMI-In socket and output via the media player’s USB port. A new YouTube component is also available to stream video over the internet directly to the player and users will also now be able to import and broadcast content from other social media feeds, including Flickr and Twitter. The inclusion of Microsoft Excel integration will give users the ability to pull real-time information from an Excel spreadsheet sitting on a local FTP or network drive (CIFS) and update them quickly on the player. This is particularly useful in instances where there’s a need to update information in a spreadsheet while a campaign is playing. Simply by opening up the Excel document, amending the text in question and then re-saving it, the information displayed on the live screen is instantly updated with no downtime involved. While these new features are designed to improve campaign impact and creativity, software ease-of-use has also been further improved with a new, wizard-based Illumineye Creator that uses on-screen prompts that provide a more intuitive approach for even easier scheduling and management of digital signage campaigns. Complementing these advances made on the software side, Illumineye’s hardware also benefits from the addition of the new, high-performance, IQB-A media player with 4k dual display support. The new IQB-A model joins the existing entry-level, IQ-L HD 720p and mid-range, IQ-B full HD 1080p players to satisfy all digital signage resolution requirements. With no moving parts, compact designs, the players are easily mounted on the rear of most screens using a VESA bracket and come with a three-year warranty as standard, while most competitors only offer the one. Specifically tailored for the SMB sector, Illumineye’s new five media player and server bundle now means SMB users can have a fully integrated digital signage package including a pre-configured server and players that negates both the need to source a separate server and the requirement to manually set-up the Illumineye DS manager. The complete package includes a Illumineye server (Win10 Pro PC), five IQ-L media players, an eight-port switch together with pre-installed Illumineye DS Manager and Creator software licenses.